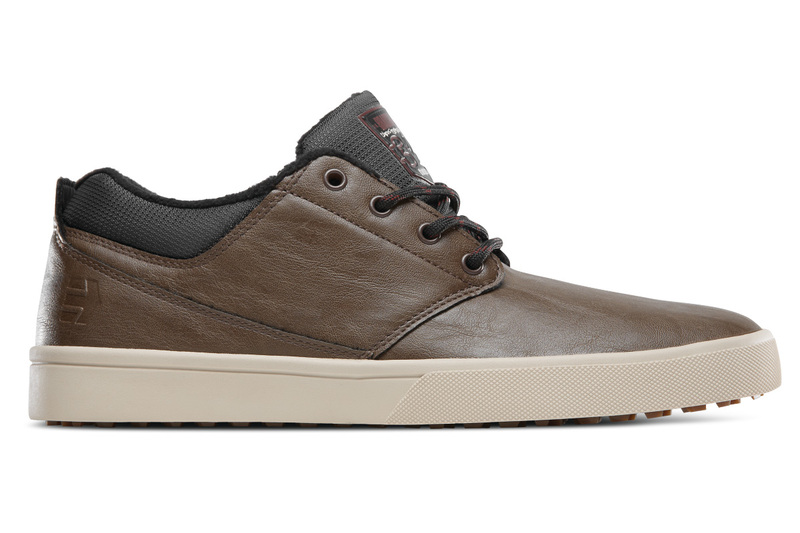 The Etnies x Thirtytwo collaboration shoes are designed for winter use. 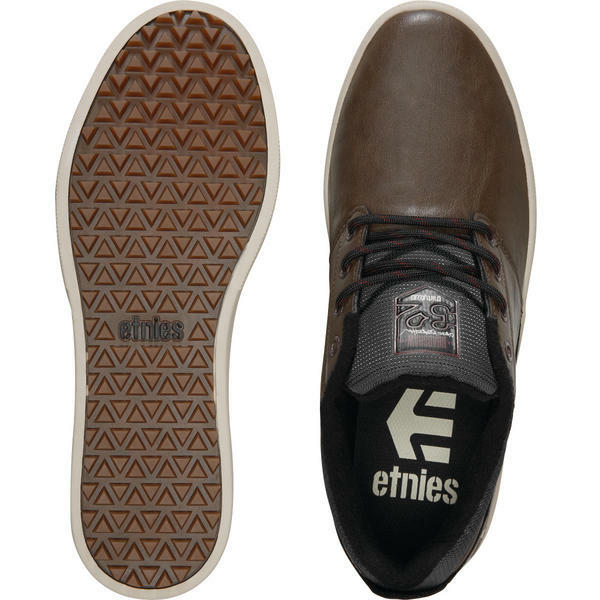 This year Etnies teamed up with Thirtytwo team riders to create a winter specific shoe that is treated with STI Repel Waterproofing to keep your feet protected from outer elements. This Chris Bradshaw's pro model that is designed together with the 32 team rider. Chris Bradshaw has put is own stamp on this shoe with the Brown and Navy colours. The Jameson MTW provides great ankle support with wide tongue straps for a superior fit, whilst the gusseted tongue will keep your feet warm and dry. The Jameson MTW features an STI Evolution Foam insole with a Reverse Geo-hex lug tread stick out from outsole designed for traction on snow and ice.